I can’t believe back to school time is upon us again. My oldest son Ben will be a senior in Kindergarten and this is his first year going full days so I am in for the long haul – lunch, morning & afternoon snack. I have to make sure I step up to the plate (so to speak!) as I asked Ben what he was looking forward to the most about going back to school and I was waiting for him to say friends, or learning new things but no, he said ‘snack’. He definitely takes after me, my passion for food began at a very early age too! So I have been working very hard lately coming up with a variety of healthy lunch and snack recipes, I have been on Facebook, Pinterest, Google and have come up with a nice selection and will share one of my favourite recipes at the end of the blog. As a Nutritionist and a Mom I am always thinking how I can give my kids healthy and tasty food. I focus on balancing the meals and snacks with lean proteins (meat, fish, eggs), complex carbohydrates (whole grain bread or wraps, pasta, brown rice, quinoa, fruits and veggies) and healthy fats (avocado, coconut oil, extra virgin olive oil, nuts, seeds). I try to stay away from processed foods as much as I can as they are laden with sugar, sodium, artificial colours, flavours and chemicals. Instead I focus more on the whole food, this way I know they will stay full, focused and not become tired & irritable from a sugar crash. I know the key will be keeping Ben interested so along with sending sandwiches, wraps & salads I have bought a thermos so he can take pasta, fried rice and chili leftovers and his favourite mac & cheese – yes even in the home of a Nutritionist! I’ll let you in on a secret, there is a great company called Annies http://www.annieshomegrown.ca/, they do a packaged version made with real cheese and no artificial colours or flavours and they are GMO free! For snacks I will be sending mini muffins, granola bars, applesauce, greek yogurt (higher in protein and nutrients) with berries, hummus and veggies and granola or dried fruit and his favourite whole grain cereal and of course raw fruits and veggies. I try to involve Ben in choosing what he wants to eat, I find that when kids have a say in what’s on their plate or lunchbox, there’s a better chance that they’ll eat it all. Place one tortilla on a flat surface and spread 2 tbsp of peanut butter on the tortilla to evenly coat. Place one banana near the edge of the tortilla and roll it up. Slice into ½ inch rounds and serve. Enjoy! Melanie Grime is a holistic nutritionist and WOW! 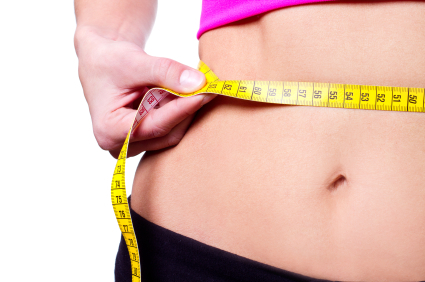 Weight Loss Practitioner serving the Orangeville, Dufferin, Wellington, and Caledon areas. She treats everyone as an individual with their own specific needs and helps clients suffering from health issues by looking for the root cause of symptoms and working with them to reach their health, weight loss and nutrition goals. You have all been waiting very patiently and the time has finally arrived. I am really excited to announce that I am now part of North America’s premier whole-foods based weight-loss system WOW! Weight Loss. I have decided to become a WOW! Practitioner as I truly believe in this program. Our approach to weight loss is more than just numbers on the scale with each personalized plan customized to your goals and lifestyle. WOW! has helped 1000’s of people lose weight and lead healthy lifestyles. WOW! Is a weight loss program that guarantees you lose fat, improve the quality of your health and regain your confidence and self-worth by eating the WHOLE FOODS you enjoy that are easily found at any grocery store. Discover how you can dramatically reduce the number 1 risk factor associated with cardiovascular disease, cancer, metabolic syndrome, type II diabetes, asthma and worst of all, low self-esteem and loss of vitality. It supports the body systems in addition to focusing on individual goals. It is education-based to provide clients with a solid understanding of scientifically valid nutrition habits. WOW! Weight Loss success does not rely on supplements, pills, shakes, diet foods or detoxification. The WOW! System goes beyond merely educating you about good quality, whole foods. WOW!s unique approach to fat loss and lifestyle change ensures that each person we work with feels supported, motivated and empowered throughout their journey. Most WOW! personalized plans are covered under extended health care insurance. Why is WOW! Weight Loss different from other diets? It provides a sensible eating plan based on food categories and portion sizes that promote eating the foods you enjoy that are good for you. WOW! Weight Loss programs are designed for everyone at any age or level of health. I will be holding my first group programs beginning the week of September 16th. The regular cost is $140 a month with a 3 month commitment however, if you sign up now, you will receive 50% off. This is a one time offer, never to repeated again so don’t miss out. If you are interested in this or a one-to-one program, please contact me (info below) to set up your FREE Nutrition Assessment but hurry, space is limited! Melanie Grime is a holistic nutritionist and WOW! Practitioner serving the Orangeville, Dufferin, Wellington, and Caledon areas. She treats everyone as an individual with their own specific needs and helps clients suffering from health issues by looking for the root cause of symptoms and working with them to reach their health, weight loss and nutrition goals. Being a mum to 2 young boys and trying to run my own business, means creating healthy & quick meals is a top priority. I wanted to share some simple tips that I use to help you have a healthy home-cooked meal on the table instead of stopping at the drive through when you are rushed for time. 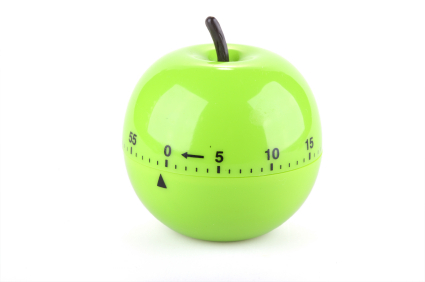 Start a weekly ritual: Pick a day and spend an hour to plan and prepare meals. Get your family involved in a fun way to help you prepare the meals for the week. Give everyone (kids and husbands) an appropriate job. For example: Husband BBQ’s chicken breast and kids can wash the vegetables and fruit, and separate into baggies. Put on music, funny aprons, etc., to make it more than just a chore! Boil a dozen eggs at a time and refrigerate. You don’t have to eat the whole egg; you can break away the whites (protein). Hard-boiled eggs will last at least five days in the fridge, and are a great compact snack. Cook eight chicken breasts at a time. Grill, BBQ, bake, or broil with your favourite seasonings. Great for slicing over salad, or even having half of one as a snack. Keep 3–4 in the fridge, and individually freeze the rest. Take out a frozen breast the night before. Chop up vegetables and store in individual containers. Chop up whatever vegetables you like to eat raw. A good tip for making them last is to place a wet piece of folded kitchen paper towel into the container with them. Sometimes it can take me an hour to prep all my fruits & veggies but there is always less waste when I do this and that means more value for your money! Wash entire heads of lettuce and chop for salads. Store lettuce in an appropriate container. If it is already chopped up, it is very easy to make a salad in the morning. Make a vegetable soup. Make your favourite soup recipes and make enough soup for a week. Store 2–3 servings in the fridge. Put the rest in individual containers and store in the freezer. Cook a huge amount of vegetable stir-fry. Throw a bunch of vegetables into a wok and stir-fry with unlimited condiments of your choice. Store in the fridge in individual containers, so they are ready to grab. Add a chicken breast to it. This way, dinner is almost ready without having to cook when you get home from work. Open and rinse cooked beans or lentils. Open a can of your favourite beans and rinse until it stops foaming. Measure half-cup servings and store in individual airtight containers, so they are ready to grab. They will last for 3-4 days. Pick 1–3 recipes and cook ahead of time. Using the recipes provided, cook and freeze. Take out the meal in the morning, so it will be defrosted by dinnertime. Add a side of stir-fry or salad. Portion out nuts/seeds. Buy your favourite nuts/seeds in bulk and store in containers in the fridge. Portion out your weekly serving amounts into snack bags. This makes it really handy to grab and go. Create a favourite recipe file. This way, if you are stuck for ideas on what to cook that week you can refer to your file and use one of the family favourites. 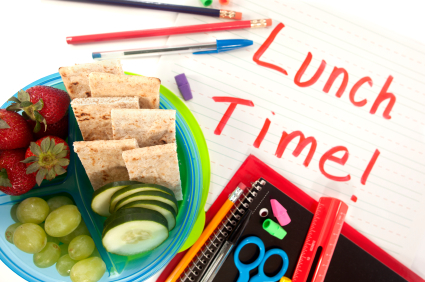 Eat the same lunches and snacks on Monday, Wednesday, and Friday, and then switch on Tuesdays and Thursdays. Planning to eat the same things on alternate days cuts down on the need to plan, grocery shop, and prepare ahead of time. This way, you always know what you are having and can use the leftovers for lunches. I hope these tips will help to make your life easier. If you have any others you would like to share, please leave your comments below, I would love to hear from you. Melanie Grime is a holistic nutritionist serving the Orangeville, Dufferin, Wellington, and Caledon areas. Adams Apple Nutrition treats everyone as an individual with their own specific needs and helps clients suffering from health issues by looking for the root cause of symptoms and working with them to reach their health and nutrition goals. Since giving birth to my second child 6 months ago, I have only dreamed of a flat belly. If only I could have appreciated my body during my twenties like I do now! With bikini season being here (my least favourite thing about summer) I thought I would give you some simple tips on how to achieve that flat-belly that you desire without the 1,000 sit ups a day! A lot of times we feel “big” in the middle, not because of fat (thankfully! ), but because of what’s going on in our stomach. Keeping our digestive system happy, and especially, avoiding bloat, can go a long way in helping us look and feel slimmer. Use herbs such as basil, dill, ginger, fennel, and mint – all of these herbs have gas-relieving properties. Introduce fibre-rich food gradually – fibre is great, but if you are not used to a fibre-rich diet and suddenly eat a lot of fibre-rich food, you could experience some digestive issues! Cook beans properly – soak beans for at least four hours, and use spices or kombu to improve digestibility. Notice how your body reacts to vegetables such as broccoli and cabbage. Look for potential food intolerance (e.g., lactose or gluten) – if your body cannot digest and assimilate these properly, they can cause gas. Yoga poses, such as twisting, can help relieve gas – these poses stimulate the movement of the smooth muscles of the intestinal walls and help “move things along”. Use herbs with diuretic properties, such as dandelion greens, uva ursi, corn silk, alfalfa, stinging nettle, celery seeds, and parsley. Use the sauna to help relieve stored water – now you have that excuse you need to go to the spa! Facilitating elimination can help get rid of “dead weight” that is bogging you down. It also helps to reduce your toxic load, which can cause you to hold onto excess weight. Drink freshly squeezed carrot and apple juice to aid colon detox. Drink a cup of warm water with two tablespoons of fresh lemon juice, first thing in the morning – it is very alkalinizing and cleansing. Exercise regularly – movement helps the muscles of your digestive organs to move food & waste along appropriately. Aim for 30 minutes of exercise daily, I enjoy a walk in the sun or playing with the kids at the park – it’s amazing how many calories you can burn chasing a 5 year old! Ensure adequate intake of dietary fibre – fruits, vegetables, whole grains, flaxseed, wheat bran, and psyllium husk. So next time you are feeling bloated or finding it hard to do up the buttons on your shorts, try some of these tips and you’ll be feeling flatter in no time!